In South African buildings, concrete slabs and screeds are often the initial floor finish laid in buildings. To transition between height differences or varying floor types, ramps along with trims or profiles are used. 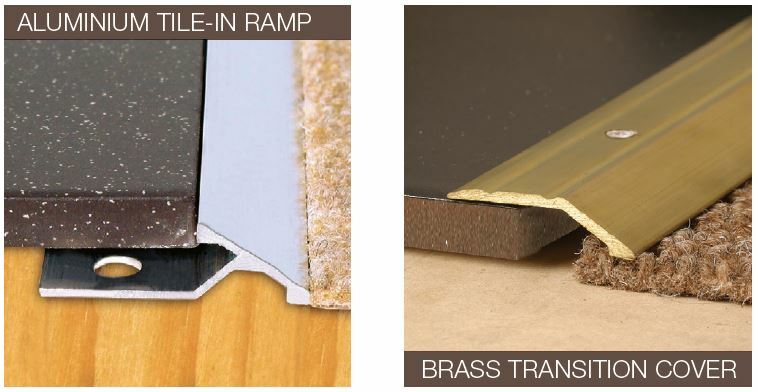 Ramps can be installed to transition between floor types such as screeds, slabs, laminates, wood, engineered wood, carpets and LVTs (Luxury vinyl planks), amongst others. 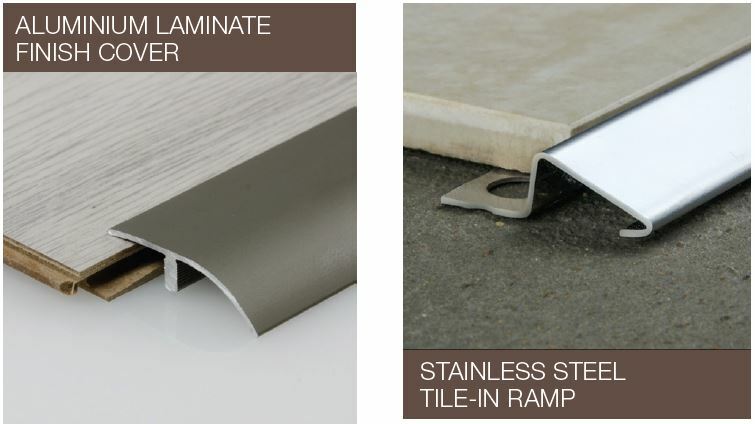 Ramps are available in a tile-in version for tiles and as a base and ramp cover for laminates, wood, engineered wood, and as a glue-on ramp with LVTs where a smooth transition is required. Aluminium ramps come in a range of anodised colours to match the colour of the floor. Stainless Steel and Brass retrofit screwfix ramps are available for more heavy-duty applications where heavy-duty pedestrian traffic and trolley traffic are expected. Typical ramp applications include entrance thresholds to shopping centres, doorways, shops, offices and airports, among others. Ramps are the ideal choice when seeking a smooth transition between flooring types that have larger height differences. Kirk has a range of normal ramp and wide ramp options for refurbishment projects. These ramps are fixed using tile adhesive and cement when fitted against tiles and epoxy glue when fitted against laminates, wood and LVTs. For more information, contact Kirk on +27 (11) 444 1441 or via www.kirk.co.za.